American Pharoah weighs 1195lbs. He is three years old. Margaret the donkey weighs 340lbs. She is 23 years old. I was fortunate to visit Margaret at the Audubon Zoo in New Orleans this week and the beast is being treated well in her quarters. I spoke with her trainer who informed me that she is regularly bathed with special shampoo and conditioner and gets frequent walks. Margaret is not an exhibition animal and will live out her natural life in New Orleans. She was born in Texas but came to Louisiana when she was just a young donk. She is quite pretty and well behaved. 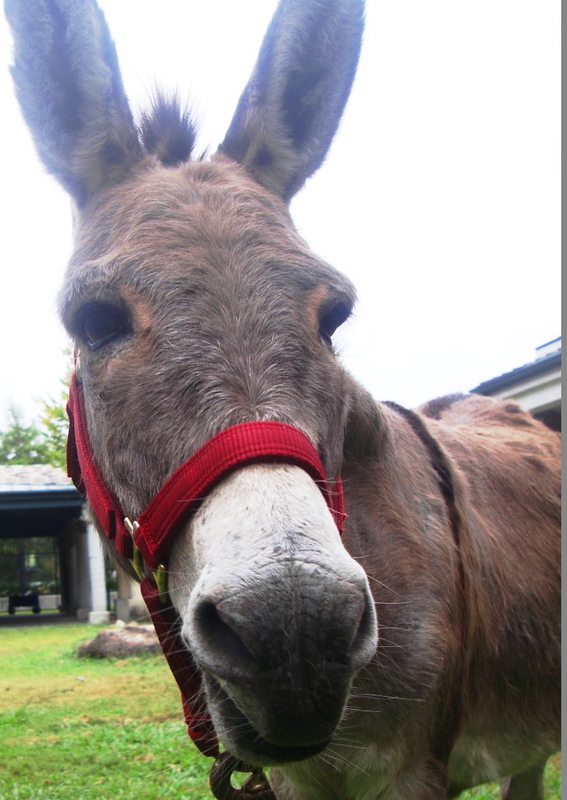 Margaret is a Sicilian donkey and has both a mohawk and a racing stripe running down her back.